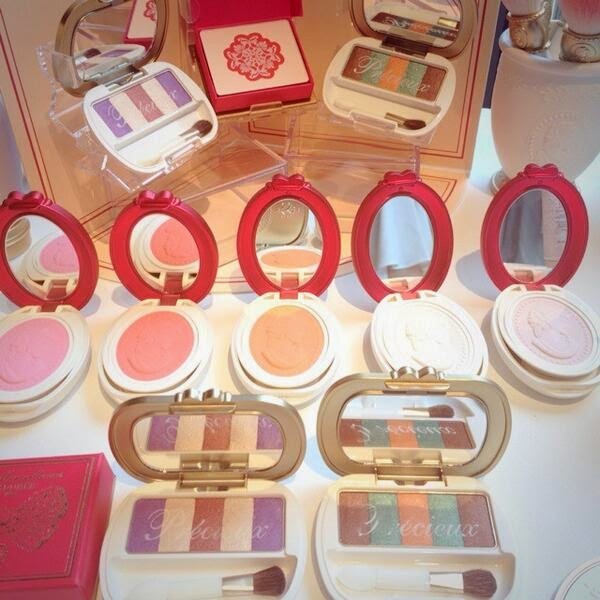 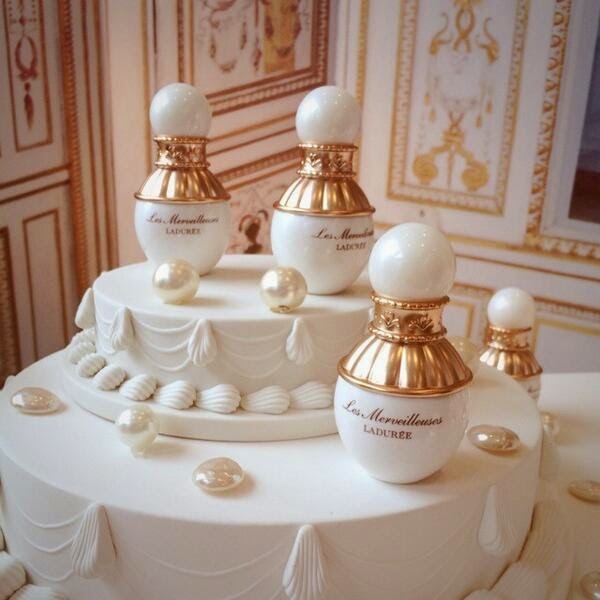 Here are pics tweeted by Story from the Les Merveilleuses by Laduree Fall 2014 collection press preview. 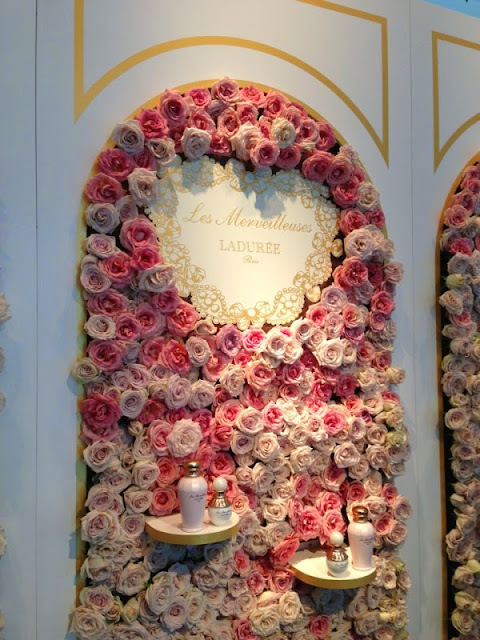 Three thousand roses were used for the event display. 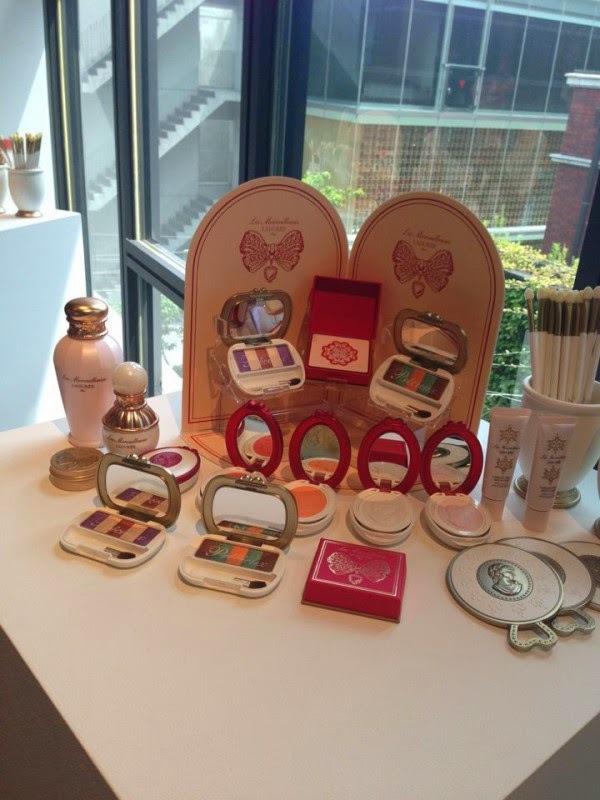 New skincare items including a lotion, beauty essence and oil will be launched on 5 September. 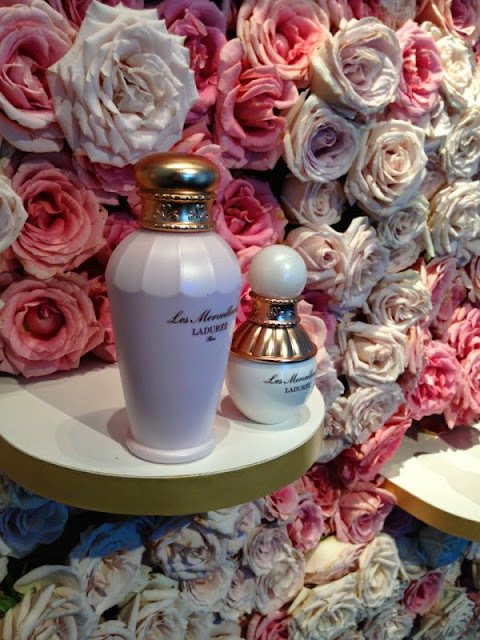 The rose-scented lotion also includes pearl essence and citrus extract for greater hydrating benefits. 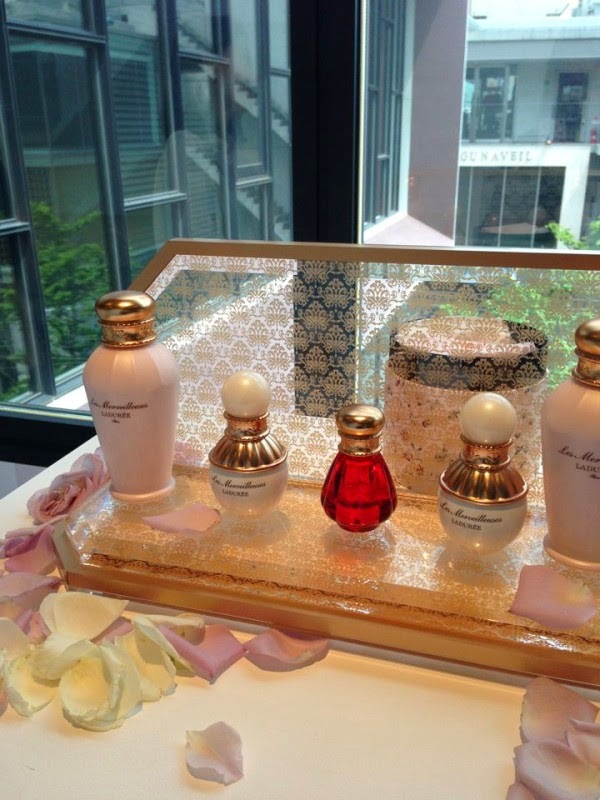 The Pearl Treatment Serum will retail at 10000yen. 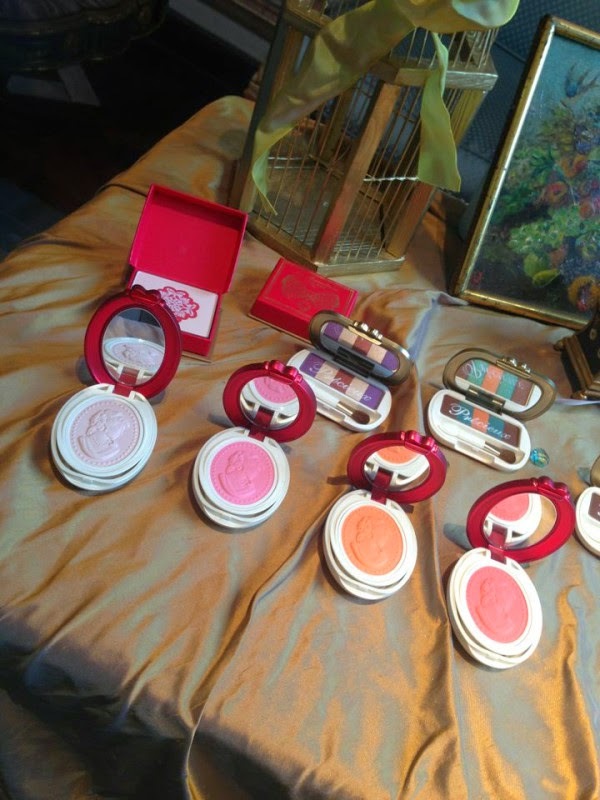 Oh my the Victorian packaging. What eye candy!